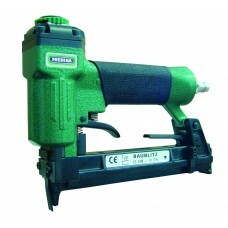 Prebena offers a wide range of pneumatic nailers for staples from 4 – 160 mm, which is constantly being expanded and developed further in order to meet all requirements and to maintain quality standards. This includes the fact that Prebena produces staples “Made in Germany”. 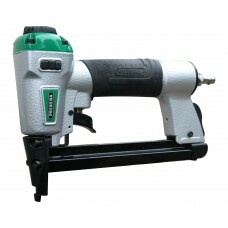 The wide selection of pneumatic nailers for staples ensures that all imaginable applications are covered – not least because Prebena is able to develop and manufacture other non-standard staples and pneumatic nailers on request. 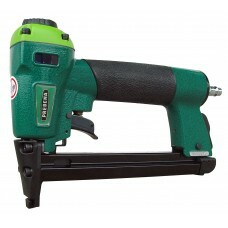 For staples type A from 4 - 16 mm (5/32" - 5/8") automatic rapid fire stapler ideal for speed, extra..
Technical specification: Weight: 0,86 kg (1.89 lb.) Operating pressure: 4 -7 bar (58 - 100 psi.) Air..
Technical specification: Weight: 0,86 kg (1.89 lb.) 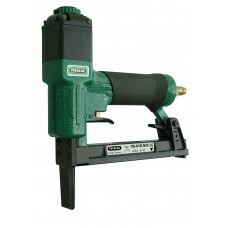 Operating pressure: 4 -7 bar (58 - 100..
Technical specification: Weight: 0,86 kg (1.89 lb.) Operating pressure: approx. 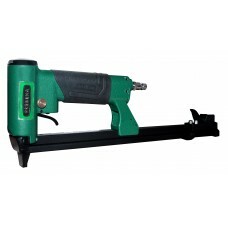 4 - 7 bar ..
Technical specification: Weight: 0,86 kg (1.89 lb.) Operating pressure: approx. 4 - 7 ba..
Punchy alternative to hand tacker - indentical staples, same application, but with compressed air!&n..
For staples type A from 4 - 16 mm (5/32” - 5/8”) type 80 Applications: Screening, light trim and mou.. 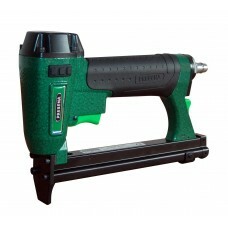 Applications: The small and handy stapler for exhibition panelling, sheet materials, cabinets, ..
For staples type A from 4 - 16 mm (5/32” - 5/8“) Applications: For upholstery work. With a 50 mm (2”..